It’s the beginning of the end. 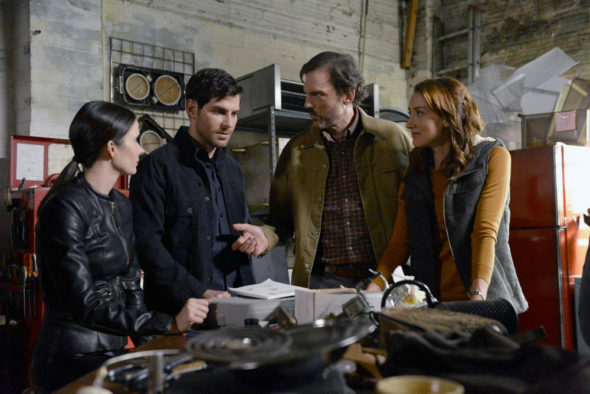 NBC has released the episode description for the sixth and final season premiere of Grimm. Grimm, season six, premieres with “Fugitive” on NBC, Friday, January 6, 2017 at 8:00pm ET/PT. A supernatural procedural drama, Grimm stars David Giuntoli, Russell Hornsby, Bitsie Tulloch, Silas Weir Mitchell, Reggie Lee, Sasha Roiz, Bree Turner, and Claire Coffee. Check out the episode description after the jump. What do you think? Are you ready for the Grimm TV series to draw to a close? Do you think it is ending at the right time, or should NBC have renewed Grimm for season seven? I loved this show. Sorry to see it end but like the twist at the end with the kids taking up the cause. I’d really like to see a spin off with the kids taking the lead but with the other characters still being a part of the series. please keep grimm for one more season or two or three I just love the show. I look forward to watching Grimm each week. Please renew Grimm for the 7th season. A 7th season would be very nice. There’s more to cover.